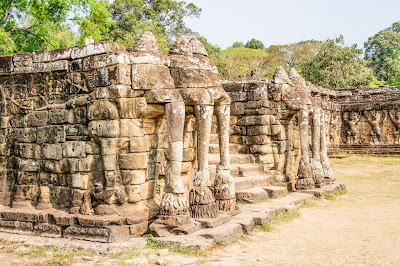 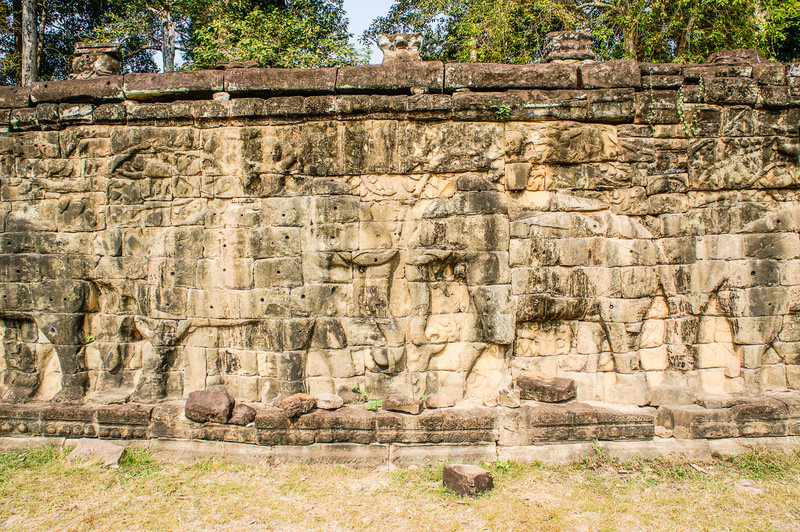 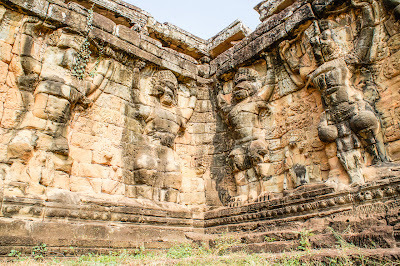 The Terrace of the Elephants is part of the walled city of Angkor Thom. 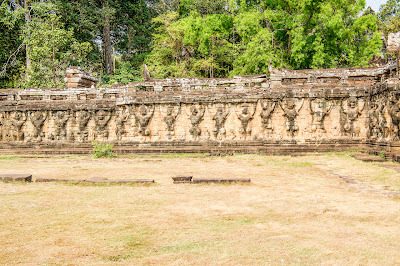 The terrace was used by Angkor's king Jayavarman VII as a giant reviewing stand for public ceremonies and served as a base for the king's grand audience hall. The terrace is named for the carvings of elephants on its eastern face. 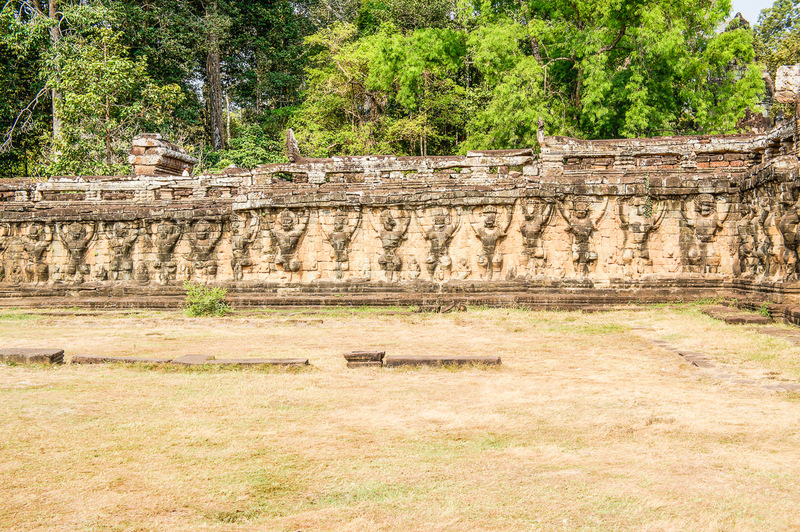 Behind it was the royal palace which was constructed of wood and has long since disappeared.